Support teachers with a tool that they can personalize to their individual needs, as well as to their students' needs. Speak Agent's flexible implementation method reduces teacher burden by working seamlessly across different kinds of classroom technologies, adapting to class schedules, and supporting varied instructional practices. In addition, the digital platform supplies a powerful toolkit for differentiating instruction quickly and profoundly. As part of setup and configuration, you have the option to empower your teachers to create, modify, and share digital lessons using the Speak Agent platform. This saves teachers time adapting digital lessons for individual students or groups. 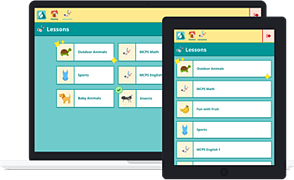 They can simply clone any lesson or vocabulary set with a single click. 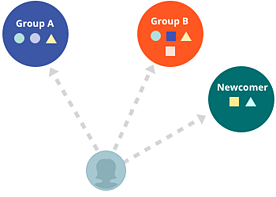 From there, teachers can adapt and assign personalized lessons, add or remove activities from a lesson, reorder a learning sequence, hand-pick leveled texts, adjust targeted vocabulary sets, and more. In addition to custom-built lessons, Speak Agent provides you with content "building blocks" through its massive, multi-language lexical database. This includes tens of thousands of words and phrases, together with linguistic data; hand-curated photos, diagrams, and illustrations that depict each word concept; hundreds of original stories written to provide context for key academic concepts in STEM, language arts, and social studies; audio recordings of each word or story; videos and animations; and much, much more. All of this content is hand-curated, appropriately licensed, and ready to use in your digital lessons. These resources are how we build your lessons quickly and affordably, and your teachers can use them to customize lessons in realtime for specific students, groups, or proficiency levels. So, instead of hunting for images, making slides, and other busy work, teachers can use precious planning time to efficiently and effectively differentiate instruction. If you need your digital lessons and content leveled by WIDA, CA ELD, TELPAS, or other proficiency levels, just inform your Speak Agent account manager when planning implementation. You decide what content is the best fit and Speak Agent does the rest! Authorized staff can also view student progress, by individual or by group/class, with each and every assigned word/concept to see where help is needed. The reporting is contextual to the learning path you created! So, treat your teachers to a differentiated instruction experience without any hassle. And, replace drilling and quizzing with engaging activities that embed authentic assessment.